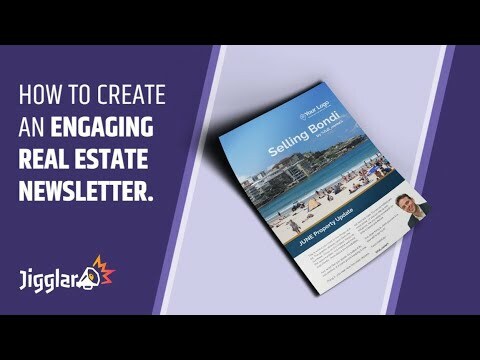 I’m going to show you how you can quickly create a beautiful real estate newsletter template complete with great copy and stunning images that will inform and engage property sellers in your area like nothing else. I’ll also share some ideas that virtually guarantee your newsletter will get into the hands of more people in your community to help position you as the trusted real estate authority in your area. Sounds expensive right? I mean how could you possibly build and customize a real estate newsletter template that looks so professional for less than 2 or 3 thousand dollars the graphic designer will charge you for their time and creative? …and that’s even before printing! Well buckle up and stay tuned because in this article you’re going to LOVE the way you can create an engaging real estate newsletter for peanuts! Problem is, most agents ignore the proven formula and waste time and money on something that doesn’t really cut through all the marketing noise and make real connections with their target market. If you’re a new agent this means wasting precious time on things that don’t give you results. But never fear, creating a professional grade newsletter template is just about to get way faster and cheaper for you if you follow this guide. By the way, creating awesome newsletters is obviously a visual thing so I’ve created a short explainer video showing you exactly what to do. First off, I want to suggest you follow these rules to give your real estate newsletter template REAL impact. Then, I’ll give you the steps to build your content and create your newsletter inside the Jigglar app on your computer. Rule #2 – Keep your message about your market. Not about you. Let’s say you promote your favorite coffee shop with a great pic on your front page. Talk about the experience of going to the shop. The smells, the taste of the coffee and how awesome the owner is. I’m also going to take you through that shortly in greater detail. If you’re not buying or selling right now, you’re probably not that interested in real estate. Market trends are good to know, but why not broaden your reach by talking about your community? Creating a newsletter template doesn’t have to be difficult if you’re doing it yourself. That’s the whole reason we created Jigglar to help the DIY folks create professional grade marketing on a budget. Here are the 4 steps that you need to follow in order to create your newsletter in Jigglar. What or whom are you going to feature? Take a look at the wording you’re going to replace in the template for each article and calculate how many words you’re going to need. There are plenty of free images online at sites like Unsplash.com. Setting up the copy you want to use in your newsletter is much easier when you set it up first in a word doc. When you’re writing copy, think of the way a good movie starts. Remember the golden rule… write as you speak. This lets your personality out. As they say, make sure you don’t let perfect get in the way of great. PRO TIP: Here’s a trick I discovered a few years back when I was stuck for ideas: I go to the Notes app on my iPhone and press the record button on my keyboard. This lets me translate my spoken words into text I can quickly email to myself. I then import it into a word doc and edit. You can do the same on Androids. Most marketing copy for real estate is dead boring. It’s cold, clinical and reads like the ingredients list on a can of pet food. Great copy is your chance to take your marketing to the next level and impress your reader. So instead of describing what a property is, describe what it does and don’t be afraid to personalize it. Imagine you’re a journalist describing the experience. If your market is great and prices are strong and moving, you can easily come up with the copy to share this good news with property owners in your area. And a word of warning here if I may. The current state of the property market, good or bad, is not your fault. I notice many agents feel some responsibility or even guilt when a market starts to fall away. This is ridiculous because nobody controls the market. All we can do is the very best with what we have. All your marketing needs to reflect the fact that you are not only a real estate authority in your area, you are also the agent with the best solution. I think there’s a great way to stay positive while communicating an accurate market summary the lets your readers know exactly what’s going on. The final step and the fun part is logging in to your Jigglar account, hitting the GET LISTINGS icon on your dashboard and creating your newsletter. To show you how everything comes together, there is a video shown above. Scroll back up and watch it because it takes you through everything you need to know about creating your real estate newsletter template. Here are some points to remember that will help you stand out from the crowd. Remember, Jigglar is the only online marketing platform made by real estate agents for real estate agents. It’s also the only real estate specific app that goes deeper to help agents win more listings and make more sales. 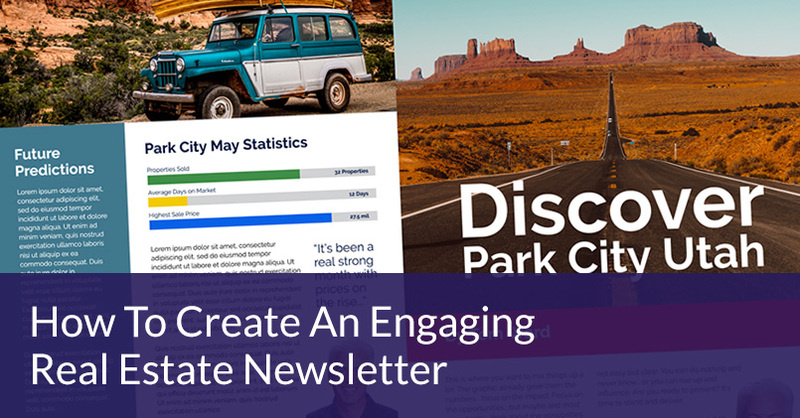 It’s ideal for creating your next real estate newsletter template (and much more!). You can get a free account here.